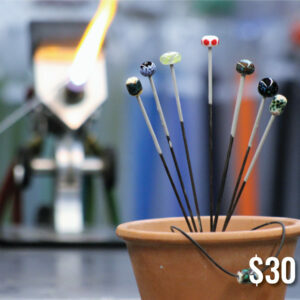 Make Your Own Springtime Egg is a quick 15-20 minute introduction to furnace glassblowing in our Hot Shop. You choose the color and style of your egg and then assist an SGS instructor in making it. 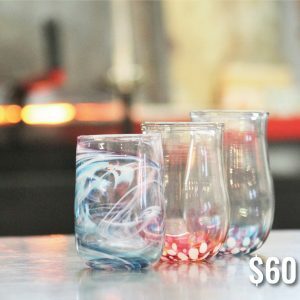 Make a second egg (same person) for $40. 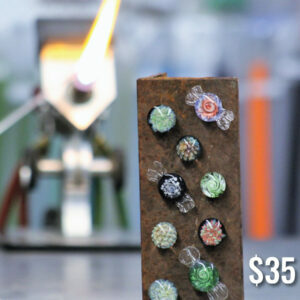 You’ll use the blow pipe to take your gathered glass and reheat it at the hole as needed. Then, you’ll blow air into the blow pipe and use tools to shape the glass. You may take a more active or passive a role based on your comfort level. -Please schedule at least 24 hours in advance. Have dates and times that work for you ready. 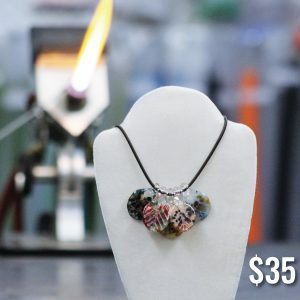 -Your piece will need to cool down after its made. Please allow at least 48 hours before picking up. 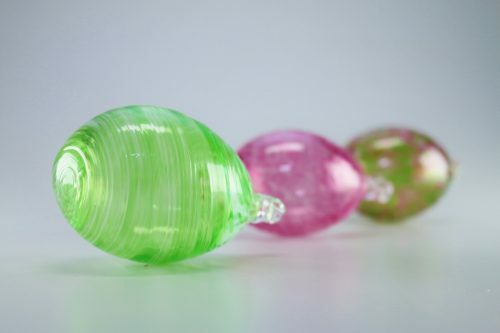 -Pieces can be shipped for an additional fee. Your safety comes first, so we require that every student at SGS wear closed-toed shoes. 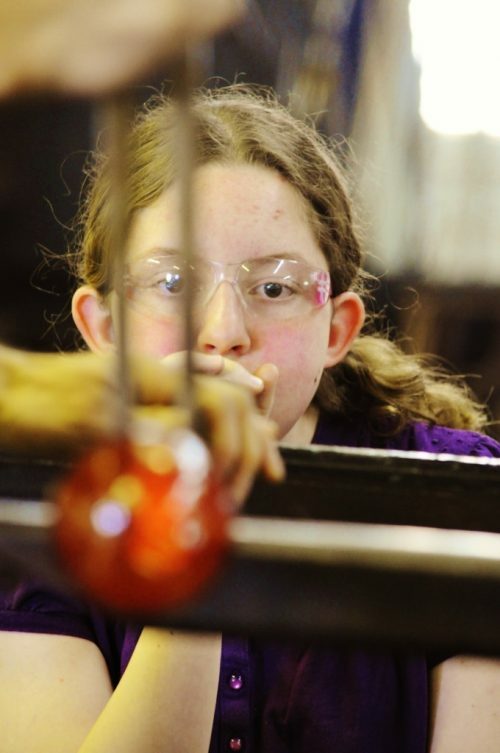 Safety glasses are required for some classes (which we’ll provide). Please wear comfortable, cotton clothes that you don’t mind getting dirty, just in case. Depending on the class, students should also tie back long hair and avoid wearing dangling jewelry. 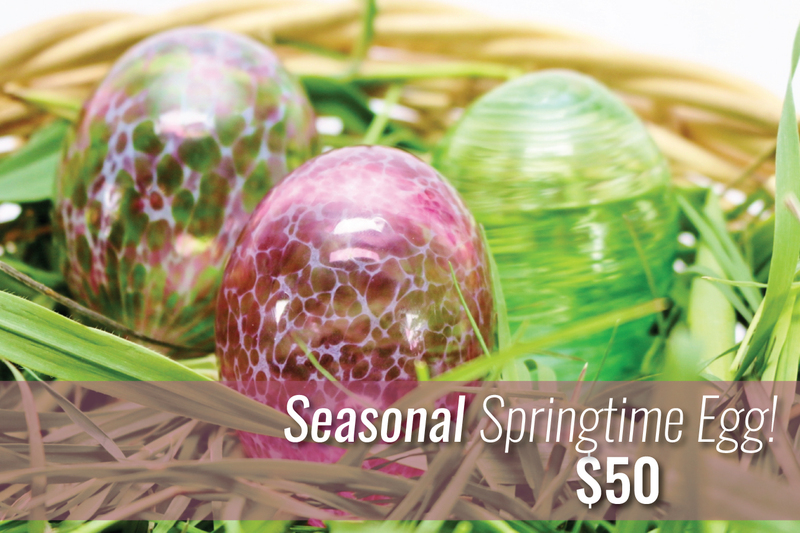 If you have any other questions, please call our office at 520-884-7814.